Part of why Spidey’s Marvel Cinematic Universe showing in Spider-Man: Homecoming and Avengers: Infinity War is better than any previous Spider-Man attempts lies in the fresh charm of Tom Holland, and the lively writing of Marvel’s producers and staff. Homecoming captured the rebooted hero the same way that only Mark Ruffalo’s Hulk fans identified with in Avengers: Assemble (with apologies to Bill Bixby and Lou Farrigno). So, by some combination of verse and wit, Holland became the spider youth fans waited for, after several mixed live action attempts (in this post, let’s not discuss Mike Morales’ inspired, animated version of Into the Spider-Verse). And while our hearts broke a bit with the closing events of Infinity War, it’s no secret Spidey’s story continues in Marvel’s Phase 4: Spiderman: Far From Home. To recall happier times with the MCU franchise — before winding up for Avengers: Endgame — take a moment and listen to the perfectly frenetic Ramones’ song Blitzkrieg Bop. This was a fun track to explore Spider-Man’s new skills with! The lyrics are a little hard to decipher here from just listening, so those are included below. The song starts about a minute after this video begins. Enjoy! He’s the only superhero from Queens, far as I know. How many Spideys have graced (or disgraced) (or Topher Graced) the iconic young superhero on the big screen over the last few decades? This is the THIRD go at it in the modern era — but you probably knew that. How come Tom Holland’s performance in the Marvel Cinematic Universe is considered superior? 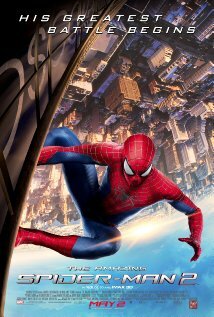 Definitely one of the better Avenger movies, and I would say it’s easily the best *Spider-Man* of the bunch. This is a much lighter film than its predecessors. There was laughter throughout the movie, with a few really hilarious moments. The acting was superb. Tom Holland, as the Spider-Man, was delightful. Michael Keaton (Vulture) brought a depth to his character that was both likable and terrorizing. The story had some predictability to it, but this *is* an origins tale. We’ve seen so many of these — even several *Spider-Man* origins — that it’s hard to do something fresh and still take the time to develop a worthy villain. In this installment, Peter Parker is 15. 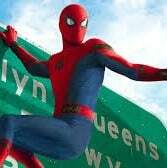 I hope we get to see at least two more solo Spider-Man movies with him in high school, exploring smaller adventures in his neighborhood, instead of constantly trying to save the city or planet.